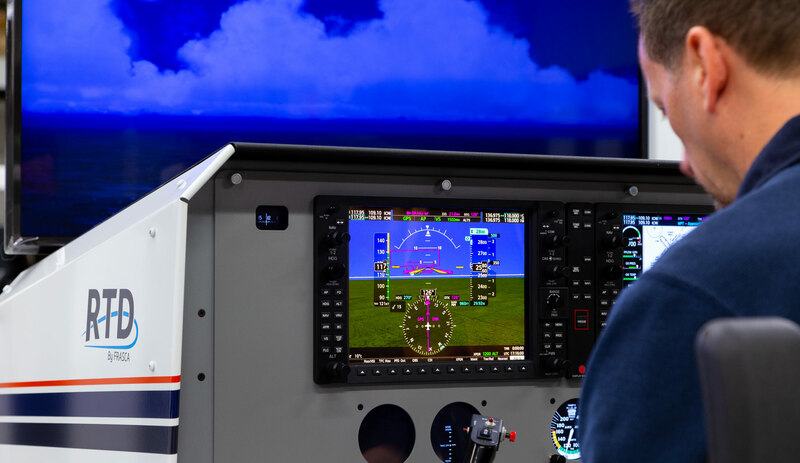 The closer a flight simulator is to the real thing has to be a benefit and that’s what Frasca is saying about integrating real Garmin G1000 NXi software into the new Frasca RTD (Reconfigurable Training Device). “This is a first in the simulation industry and required extensive collaboration between Frasca and Garmin to ensure that Frasca’s simulation software and Garmin’s G1000 NXi software operate in harmony,” said Frasca. The Frasca RTD is approved by the FAA as an Advanced Aviation Training Device (AATD) and features Frasca’s aerodynamic software using flight test data, a browser/web based instructor station, and convincing visual graphics for a realistic flying experience. 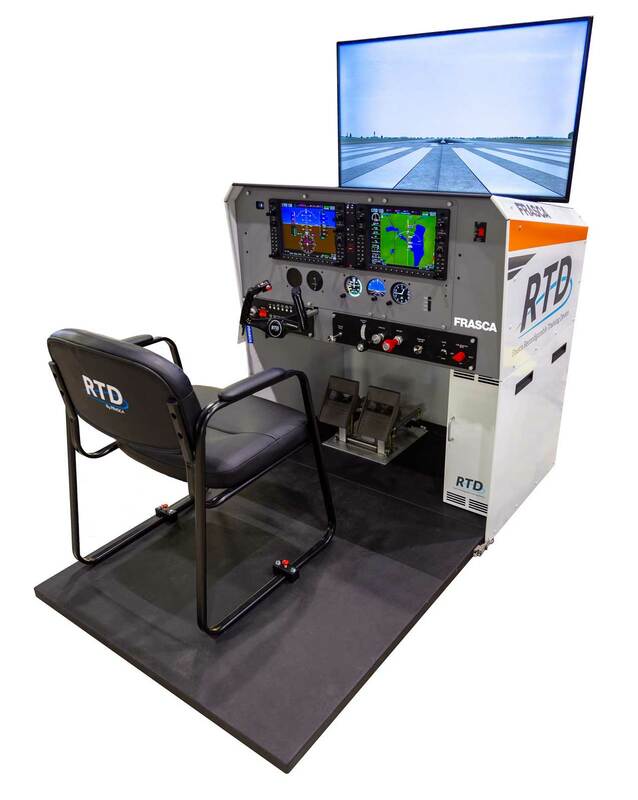 The RTD can be reconfigured between different aircraft models including the Cessna 172 and Piper Seminole as well as between analogue instrumentation and G1000 NXi glass cockpit. “By incorporating Real Garmin G1000 NXi software in the Frasca RTD, users can be assured that they are learning correct procedures and habits as all of the menu selections and button pushes are performed in the RTD the same as in the aircraft,” continued the company. G1000 NXi software also enables the Frasca RTD to include Garmin’s newest features such as Synthetic Vision Technology with its 3-dimensional pathway view, Terrain Awareness and Warning System, as well as WAAS (LPV, LNAV/VNAV and Glide Paths) and updatable navigation databases.